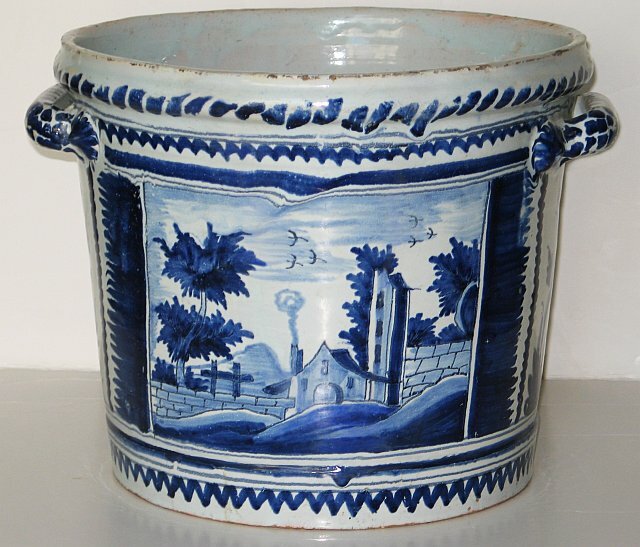 French faience jardiniere with handles on cylindrical base. Blue on white pastoral scenes. Repairs.